It is not a new idea. Back in 2007 UK broadcasters had tried with Kangaroo to join forces as German’s did with Germany’s Gold in 2013. 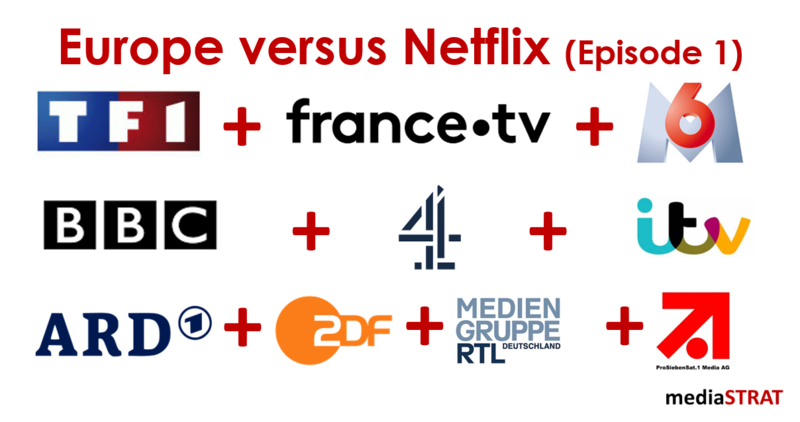 Until now the national anti-trust authorities have systematically ruled against such initiatives and widely opened the European market for Netflix, Amazon and Co. Let’s hope that this short sighted and nationally limited perception originating from the analog era will finally evolve. Having linear channels broadcasting thousands of hours of content every hear and hundred thousand of hours of content sitting in archive vaults does not mean having a single minute of content beyond the 7 days catch up window for digital distribution. Having the file or the tape does not grant any right to distribute this content through any other time window, technical mean or monetization model. The media lifecycle is historically largely structured by distribution windows and regional rights that are a combination of country legislation and business practice. Content distribution rights especially for movies are sold on a country by country base and for different distribution windows. After its release its theatrical release a movie after a few months is made available for standalone distribution both physical (DVD and Blue Ray) as well as digital (T-VOD and EST). Around a year after its first release viewers can watch them on pay TV channels followed a few months later by free to air. After another year or so the asset becomes as library title and can be rented again before moving after another year or more to S-VOD platforms. Many subscribers do not necessarily realize that it takes 3 years or more for a movie to make its way into their VOD subscription. There is a growing pressure to break these windows and bring up digital distribution as close as possible to theatrical release. The EU regulation has lately evolved to allow a certain level of portability and foreign access to content and services. Changing these rules to allow such services can be done over time by changing regulations and adapting business practices but also puts the business models of ad, subscription and carriage fee funded linear channels at stake even if viewers especially in older demographics prefer linear content consumption. In the meantime, there is a risk that these joined platforms will be overloaded with thousands of hours of 3 to 5-year-old library content. Netflix and Amazon invest billions in content and have no legacy linear business. By focusing up to 85% of their investments especially on original series and documentaries as well by not releasing movies in theaters are able to provide very current appealing as opposed to older library content. In an article in The Economist stated that “Entertainment in the digital Era is about Blockbusters not infinite choice”. Over the years the better performing platforms have significantly reduced the number of available assets. This does not only lower the technical related costs to prepare, localize and store assets that will be very rarely viewed but also eases navigation and search. These upcoming joined services will need at first to agree on an innovative content strategy that will complement those of the multinational groups and will push viewers to subscribe to a further well curated offering with exclusive, appealing and differentiated content. Stay tuned for the second episode that will touch on further topics like operations, business model governance. previous post: The day(s) after Amazon bought Football Premier League rights!